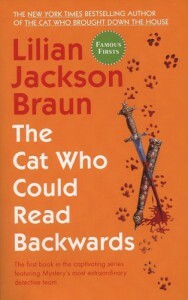 The Cat Who Could Read Backwards - Lilian Jackson Braun - review - The journey of a book lover. I have been hearing about this series for years so I decided to give it a shot. I really enjoyed these characters and I love the cats.